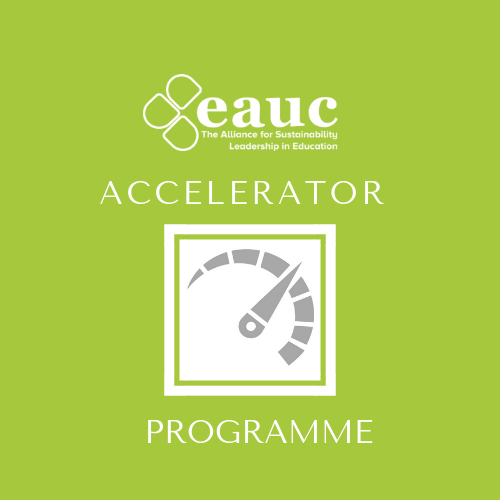 Please note this is one of the six sessions in the EAUC-Scotland Accelerator Programme. If you are interested in enrolling in the programme as a whole please contact us. Please contact scotland@eauc.org.uk if you are interested in attending this course, please get in touch with us and we can ensure we let you know when the next session is scheduled. Attendance is open to everyone with an interest in sustainability within the Further and Higher Education Sector, and elsewhere within the public and third sector. Individuals working within the private sector are requested to contact EAUC-Scotland before booking their place. EAUC reserve the right to cancel this event if there are insufficient bookings up to one week in advance of the event, and take no responsibility for travel and subsistence expenses incurred by delegates.